VIDEO: Trey Flowers Attends AHL Game, Did He Hint At A Return To Patriots? 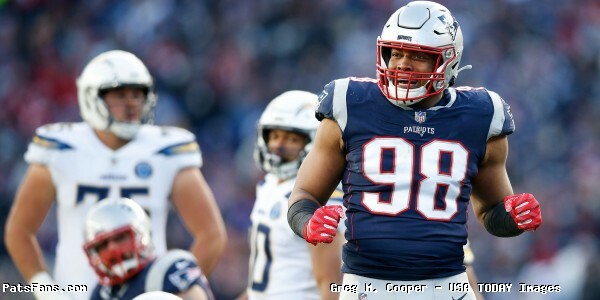 Defensive end Trey Flowers is considered a top free agent heading into the NFL offseason, but did he give away his future plans? On Saturday, Flowers made a special appearance at the American Hockey League’s Springfield Falcons Military Appreciation Night. During the pregame, Flowers walked out to center ice with the Vince Lombardi trophy and shared some words to the fans. “This is Number. Six. We want seven,” Flowers yelled. While firing up a crowd isn’t the same as signing a contact, the comments added a little more offseason intrigue. 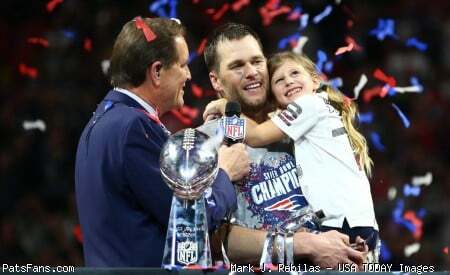 This entry was posted in 2019 Patriots Offseason, Patriots Twitter, Patriots Video, Super Bowl LIII and tagged Trey Flowers on March 7, 2019 by Robert Alvarez.